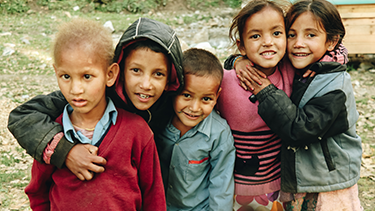 Photo of refugee children in India by Siddhant Soni on Unsplash. This semester, law students have an opportunity to study a unique and relevant area of the law that has global impact: Refugee Law. Recently the number of migrants requesting international protection has increased exponentially. The United Nations High Commissioner for Refugees estimates that as of June 2017 there are about 22.5 million refugees, and 65.6 million forcibly displaced people worldwide. In addition, there have been several United States court cases challenging the 2017 travel ban instated by the Trump Administration. 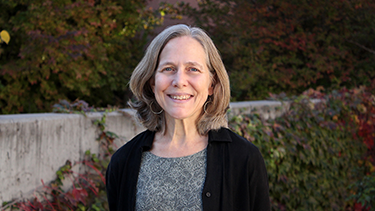 Professor Jenny Moore brings an extensive background in working with refugees to the class. Refugee Law is offered by the law school every other year, and this semester, Professor Jennifer Moore teaches it. The class covers areas of immigration law, asylum law, and international law. Moore has an extensive background in the subject matter. Before teaching at the law school, she worked for the U.N. High Commissioner for Refugees as a protection officer in West Africa, and then as a legal officer in Washington, D.C. She also conducted training sessions on refugee law for government officials, immigrant advocates, and other audiences. Moore published the first law school casebook on refugee law with colleagues Karen Musalo and Richard A. Boswell titled Refugee Law and Policy: A Comparative and International Approach. The first edition of the casebook was published in 1997, and currently is in its 4th edition. The students in Refugee Law use this casebook for their daily class discussions. In Refugee Law, students cover issues in the realm of refugee and asylum law, and learn practical skills. For their first assignment, students built an asylum claim for a fictional person seeking refugee asylum. While the assignment was open to any jurisdiction, some students built a case for a person seeking asylum in the United States using immigration statutes enacted through the Immigration and Nationality Act. Students researched country conditions of countries across the world, law reviews articles discussing asylum issues, and immigration cases and statutes. This assignment allowed the students to be advocates and build an asylum claim from scratch using country conditions and relevant domestic and international law. It also allowed students to learn about the different grounds for asylum and how to apply case law to real life problems. The second assignment, which is currently ongoing, requires students to compare and contrast four or more federal court cases associated with topics from their first assignment. This assignment allows students to critically analyze issues in U.S. asylum jurisprudence. Will Harrigan (Class of 2019) says he learned about the dangers North Korean defectors face and their need for safety. Will Harrigan, a second year law student who takes Refugee Law, wrote about North Korean defectors, and a sample claim for North Koreans wanting to obtain asylum in the United States. Harrigan argued that based on imputed political opinion, many North Koreans find themselves living in dire conditions, devoid of adequate necessities needed to survive. Additionally, he argued that once North Koreans leave the country they become refugees because if sent back to North Korea, they face years in concentration camps. Based on past persecution and future persecution, Harrigan argued that North Koreans should be eligible for asylum in the United States. “The assignments are designed as if we are advocates for an asylum seeker. Focusing on North Korea’s country conditions allowed me the opportunity to learn and share with others about the dangers North Koreans face and their need for safety,” says Harrigan.